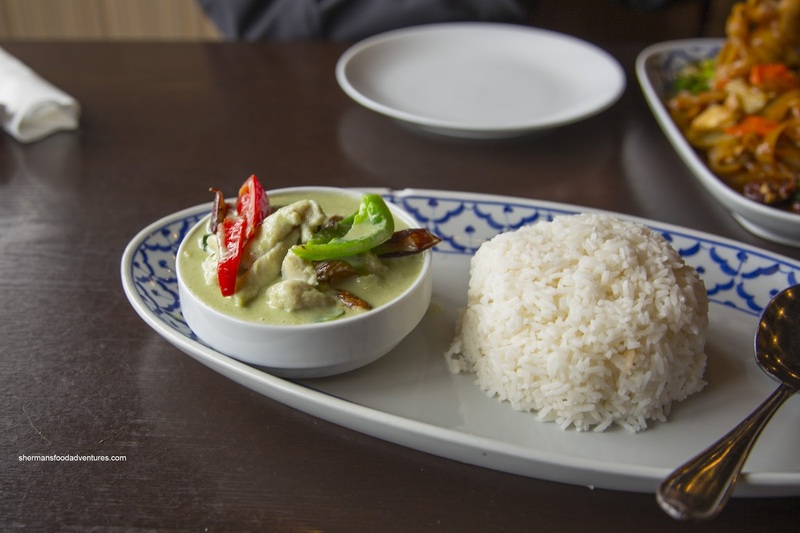 It goes without saying that Indian restaurants are a dime-a-dozen in Surrey. That makes me pretty happy because it also happens to be one of my favourite cuisines. However, some variation in my diet would be good. Too much butter chicken makes for some interesting times afterwards... TMI? So whenever there is a break in the butter chicken action, I am game. 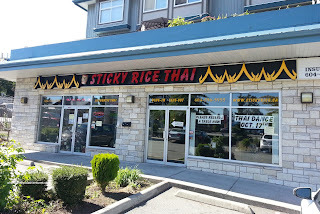 One place I've been eyeing for awhile has been Sticky Rice Thai in the former location of Pachamami Sabor Latino. I visited the place by myself and again with Chill a few weeks later. 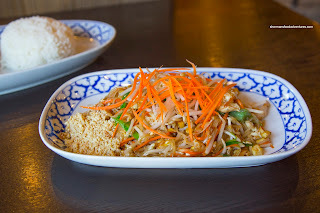 On my first visit, I found the texture of the Pad Thai noodles to be chewy with just enough moisture. There was a certain smokiness from the proper wok toss that was in the background. At the forefront was the ample amount of palm sugar. So much so, I thought the dish was too sweet where there was not enough tang. I did like the legit ingredients such as pressed tofu and pickled turnip. Possibly a wedge of lime might've helped things a bit. 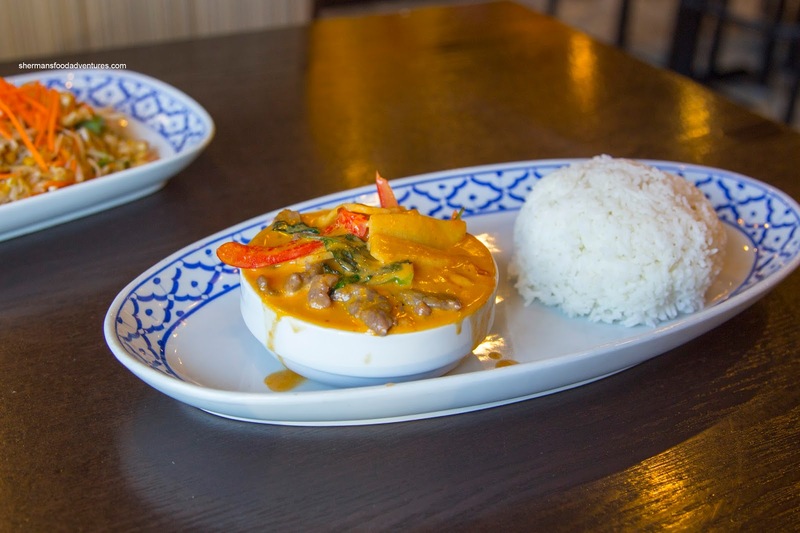 As for the Beef Red Curry, I found it equally sweet. However, the layers of flavour were still present such as some seafoodiness and spice. Although it is not very traditional to tenderize beef in Thai cuisine, I did enjoy it here as it was very easy to chew. 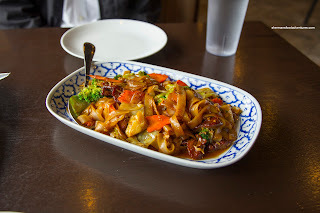 On another visit with Chill, we shared the Pad See Ew that was a pretty good portion for the price. It featured flat rice noodles that were cooked all-the-way-through being soft while maintaining a chewiness. They were all separated and intact without any breakage. The dish was sweet much like the others with enough caramelization of the dark soy. Ample and relatively tender, the beef was also the beneficiary of good wok heat. We also had the Chicken Green Curry which was, you guessed it, sweet. It was very mild and creamy where it could've used a bit more spice. We found the chicken to be buttery and tender while the eggplant and peppers were still vibrant. 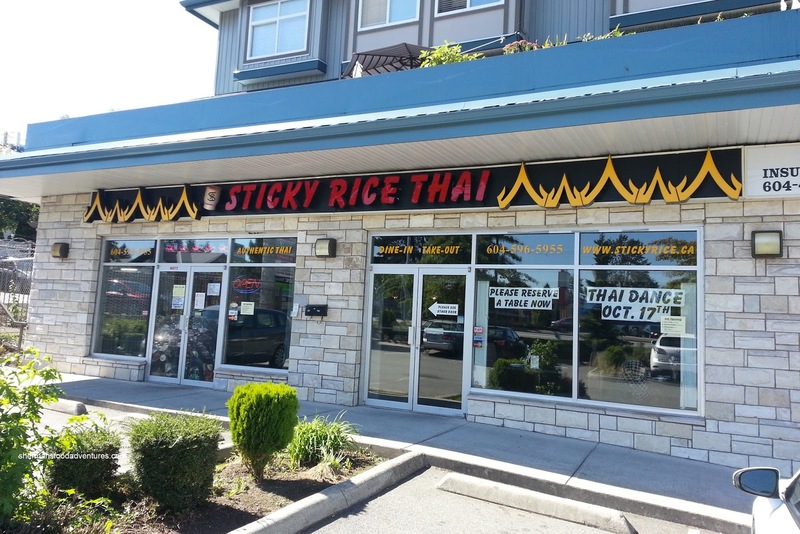 Overall, the food at Sticky Rice was decent as well as the service. Maybe they could ease up with the palm sugar though.